As we know, the Text in PDF or photos for user's eyes to read and not for editing or indexing. However, this situation is changed and now it is possible to convert text in PDF file to plain content using free tools. This tutorial explains how to convert words written on PDF document and image to plain text. I use free OCR tools to perform this conversion. Full form of OCR is Optical Character Recognition and this technology is used to identify image text and convert it to machine-encoded text. There are many OCR services available and some handpicked services are introduced in this guide. Here I take the screenshot of "about me" page of CoreNetworkZ.com and try to take words in the screenshot to real words automatically. I have saved the screenshot in different formats like JPEG, GIF, BMP, TIFF, and PNG. The sample document is uploaded to Free OCR services. I have the same document saved in different formats and each one is shown exactly as after the conversion. Check the result and I must say the result would be better if I used a picture with higher quality. Though this tool failed to convert with 100 percent accuracy, it has satisfactory output. 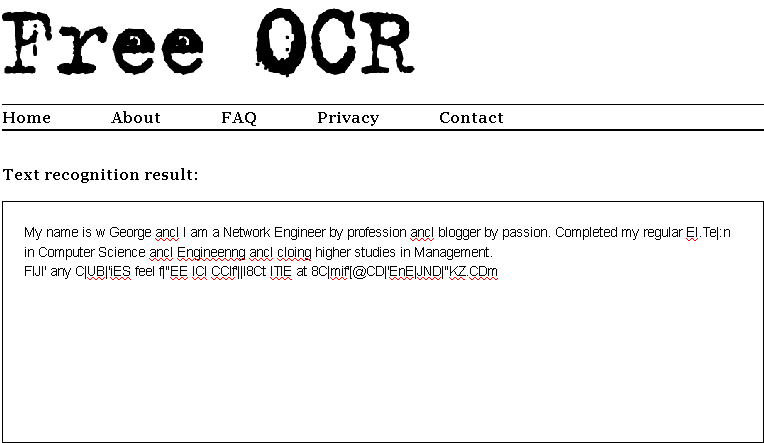 This time I have uploaded a JPEG file to this free OCR service. Look at the output. For some unknown reasons, I have failed to get a converted file. I tried 3 times with this gif version but it didn't work. After running PNG file on this free OCR tool, I received following output. This time, I have run the file in TIF format using this service. See the notepad version of the output. Now let us check how to copy the sentences displayed in a PDF file to notepad. 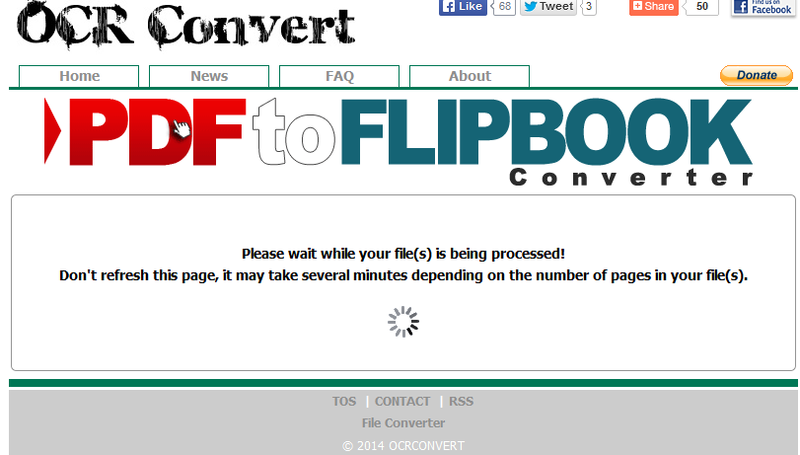 Here I am using http://www.ocrconvert.com/ to perform this task. Just like the previous tool, this one too a free online service. Steps to extract content from PDF version to notepad are given below. though these tools are helpful, some data entry job centers prefer not to use them because of the high percentage of error while copying letters from PDF files. So until a high accuracy program is developed, they need a workforce to complete data entry works. So far I’ve found OCRconvert.com the best online optical character recognition service, they have no limit on the number of files that you can convert also their conversion has so far been very accurate for me, may be its because I only convert files in English language. But that works well. Thanks Admin, for your valuable addition. I read your blog and it is full of posts regarding text conversions using OCR services.